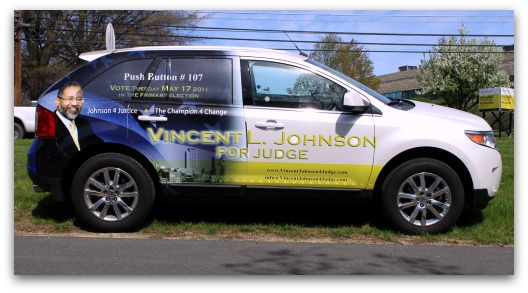 Judge Vincent L. Johnson Uses Election Vehicle Wraps in Philadelphia and Wins! Running for office can be tough and expensive but one way to use those campaign funds to help win is election vehicle wraps. That’s just what Philadelphia County Judge Vincent L. Johnson did with his Ford Edge in 2011.